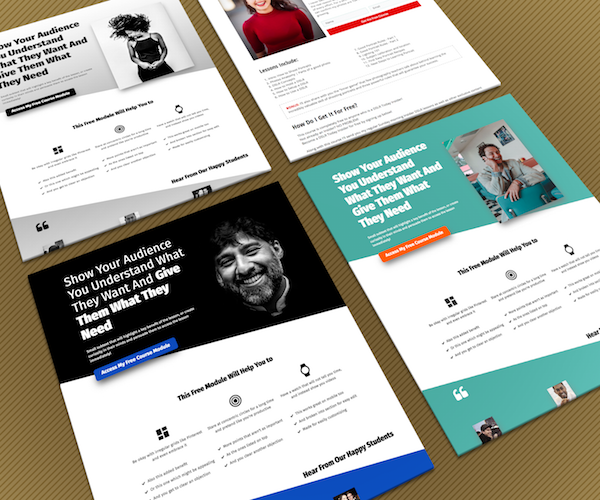 I just released my first free landing page template for Thrive Architect. Its minimal, has clear contrast and good typography. Perfect to get students/customers to signup for your free course, or any lead magnet which has multiple lessons or chapters. Minimal use of colours enables you to easily adapt this page for your website/brand. Go ahead and download now. No email or signup required. I request you to not remove the footer link if you can to support my work.